When you decide to go ziplining through the jungle in Phuket, you should expect more than just a blur of green and sore throat from joyous yelling! Because when it comes down to it, the whole experience goes far beyond the zipline. Phuket is a hub of activity in Thailand so you should really try to make the most of the area while you are there. Of course, we're here to help you with that! First thing's first - the ziplining experience. If you've never been before you're in for one wild ride! But don't be nervous, this activity is perfectly safe despite being metres above the jungle floor. The Flying Hanuman is our go-to company. They've got 28 platforms, some over 40 metres with flights that last longer than 400 metre, a course that covers 80,000 square metres and it's an activity suitable for all ages so the whole family can take part. The team there does daily safety checks and inspection so you can trust the ropes. Once you get up on the platform take a deep breath and smell the sweet forest air before you jump and sail through the jungle. Trust us, it's a tiny detail of the whole experience, but that fresh scent is one you'll likely never forget. So you see, if you're headed to Thailand, ziplining in Phuket is an absolute must, but you have to make sure you're using a credible company with all its licenses as there are some illegal operations out there. Let us help you book your activities so you can be sure you're booking a reputable organisation! Once you've controlled the wobble in your knees and fixed your dishevelled hair, it's time to get exploring the rest of Phuket! As you leave behind the excited screams of fellow zip liners, you're likely going to still be filled with adrenaline, so we're going to recommend an activity that's also fairly action packed: ATVing! You're already in the jungle so it would be a waste to leave before you explore the jungle floor in one of the most thrilling ways possible. There are several ATV (or quad bike) companies located near the Flying Hanuman, including Big Buddha Safari Camp so you don't even have to go far. Tours will have you exploring the jungle floors all the way up to the highest point of Phuket where you can take in the view of Phuket Town, Chalong Bay, Rawai and the Andaman Archipelago. 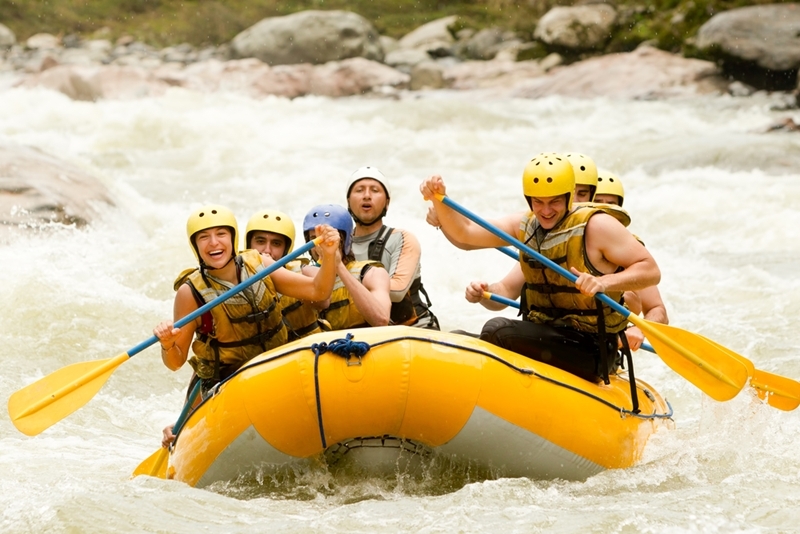 Round out the day with a white water rafting tour. You've covered land and air, now you're just missing the water! Round out the day with a white water rafting tour offered by Phang Nga Rafting Camp and get to know the jungle via the 5 km level II or III river ride. By the end of the day you'll be filled with so much adrenaline you're going to pass out in your cosy resort bed in no time. Feeling excited already? We don't blame you! If you need further help planning an adrenaline-filled trip in Thailand, contact our team today. We'll help find you all the best Thailand holiday packages and deals so you can experience even more.